Air pollution, UV light and other external stress factors can often make the skin look tired and dull. Sometimes the skin lacks the energy to defend itself against damaging environmental influences and run its own regenerationprocess optimally. The result can be premature and accelerated skin aging. EpiGen Pollution Rescue Overnight Mask has been especially formulated to make tired skin look instantly revitalized, giving it a smoother, firmer appearance and a youthful glow. This luxurious foam mask has been inspired by the recent findings in epigenetic science to help maintain skin cells youthfulness and active for longer. Its advanced formula has been designed to help increase skin's resistance to stress, whilst providing intensive moisture and care. EpiGen Pollution Rescue Overnight Mask is especially formulated to make tired skin look instantly revitalized, giving it a smoother, firmer appearance and a youthful glow. 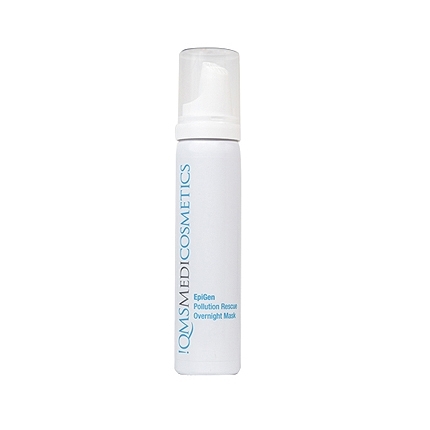 Apply foam overcleansed face orafter your NightCollagen. Let penetrate +/- 15 minutes. Gently massage. Leave it overnight and rinse off the next morning following with your cleansing routine. Use once every 2-3 nights.